Kileely Old Graveyard, also known as St. Lelia’s. 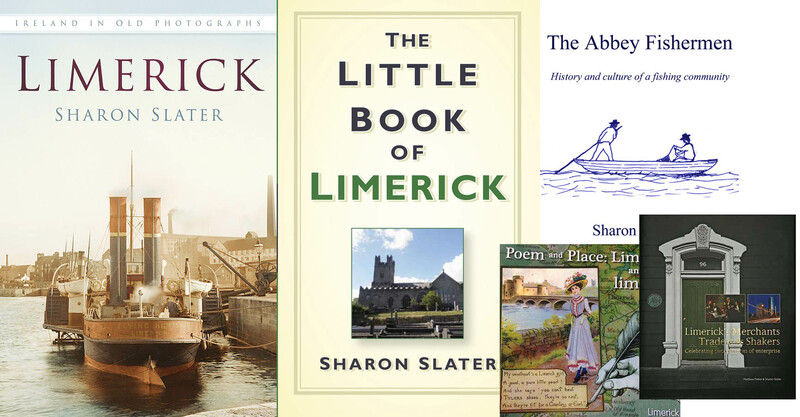 St. Lelia is believed to be Liadhain, a Dalcassian, the daughter of Diarmuid whose grandfather Cairtheann was converted to Christianity by St. Patrick. 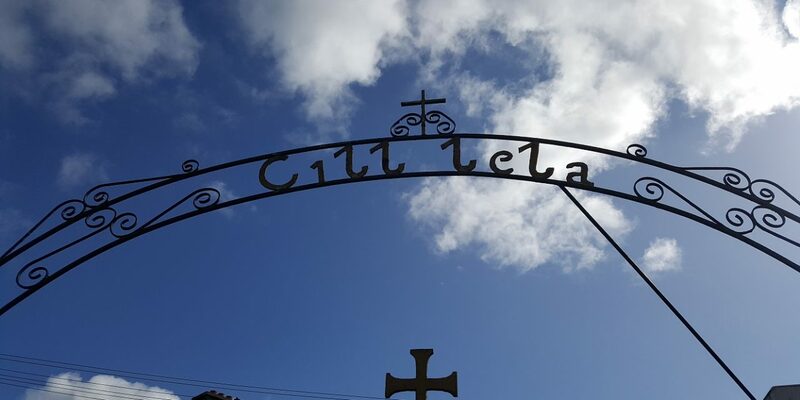 The feast to St. Lelia is held on the 11th August. 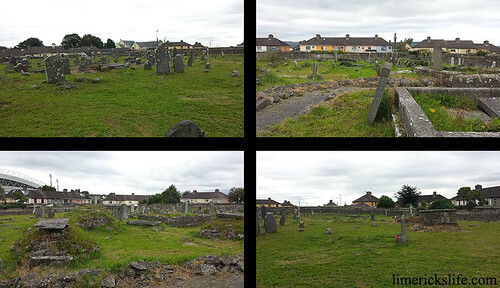 Kileely is an ancient graveyard which once housed a church and roundtower, it fell out of common use in the 1850s due to sanitary concerns in the locality. During this period St. Bridget’s Graveyard opened at Watchhouse Cross and a few years later Mount Saint Lawrence opened. In the early 1900s the graveyard was officially closed, though it was often used as a children’s burial ground and families with long standing graves continue to use them to this day. 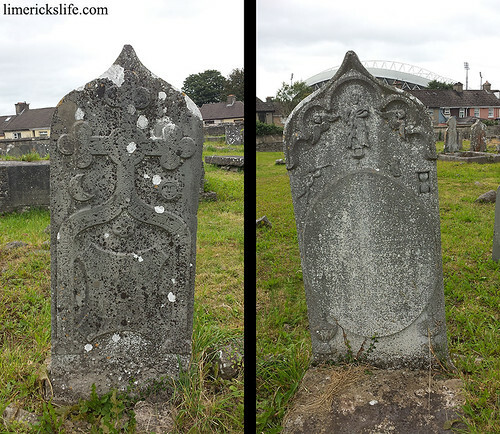 The following is an incomplete survey of over 60 grave markers in Kileely graveyard. Click on the family names for a link to an image of the headstone. Babies – This plaque is in memory of all the babies buried here. Erected by bereaved Families. Hurly – This stone was placed here/ by Mathew Hurly and Murty Mahony/ in memory of their children/ Anne Hurly who departed this life/ August 20th 1848 aged 8 years/ Murty Mahony who departed this life/April 18th 1857 aged 6 years. Mahony – This stone was placed here/ by Mathew Hurly and Murty Mahony/ in memory of their children/ Anne Hurly who departed this life/ August 20th 1848 aged 8 years/ Murty Mahony who departed this life/April 18th 1857 aged 6 years. O’Halloran – Sylvester O’Halloran/ 1728-1807/ Historian Surgeon/ Antiquary Patriot/ His country’s honours and good name ever found him a ready and unflinching champion. /Erected by the St Senan’s Historical Society. Many of the headstones are illegible, some are simple stones markers while others are extremely ornate including symbols of the moon, sun, an hour glass, a trumpeter and angels.